A Disclaimer, on the other hand, is a statement that warns the audience that the website is not legally responsible for the information provided on it, and what the user does with the information. 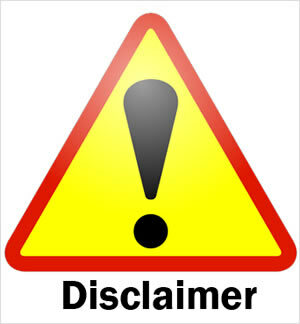 The purpose of a disclaimer is to warn the audience and to limit the website’s liability. This allows the website or company to avoid litigations and/or complaints regarding the fact that the information on the website may not be a 100 percent accurate, might be opinionated, and may not be up to date. The company also clarifies that they are not responsible for any problems that the visitor may face if they use the information on the website. Explains how an organization handles any customer, client or employee information gathered in its operations. To inform the customer that the website will collect information and what it plans to do with it.